Patricia Ann (Tanner) Bradley, of Hardin, Missouri, passed away with her family by her side at 4:32 a.m., Friday morning, October 26, 2018, at Shirkey Nursing and Rehabilitation Center in Richmond, Missouri. Patricia lived with an abiding heart, being granted an earthly life of, 65 years, 8 months, and 3 days. On Monday, February 23, 1953, in Liberty, Missouri, the Lord blessed the home of Lawrence Tanner, Sr. and Eunice (Hulse) Tanner with the arrival of a daughter. Patricia was raised in a home with four brothers and one sister. She attended school in Turlock, California and she began her life journey very soon after school. She met someone that would be her best friend and in Kansas City, Missouri, on Saturday, April 19, 1969, Patricia shared wedding vows and became the wife of Steve E. Bradley, Sr. This union was richly blessed with two children, Steve, Jr., and Melissa. Steve and Patricia contributed and built an admirable marriage of forty-nine years and six months. They shared joy and laughter and a few tears, but they always had each other for support and assurance. The shared respect and consistent love were an essential part of their marriage and they have been commended role models to many. She was a treasure to Steve and her presence will be greatly missed. Steve survives of the home. She was first a wife, homemaker, and mother; she was employed at Banquet Foods, S&K, Price Candy Company, the Hardin Grocery Store. and she managed the arcade in Hardin. She was a proud Tribal member to the Delaware Indian Tribe. She enjoyed quilting, canning salsa, working Jigsaw puzzles and Word Search puzzles. ; Patricia could sing beautifully and loved listening to her classic country music with Dolly Parton, Patsy Cline being her favored choice; her treasured past-time was to be near the water with a pole in hand and line in the water. Her choice spot was at her sister’s farm pond. She never had a bad day fishing but if she caught any fish the day was so much better. Patricia was family oriented and loved her children unconditionally. She anticipated the arrival of grandchildren and when they were born they each became an instant treasure to her heart. When she was gifted with great-grandchildren, she felt contentment and the realization of a legacy she had made had far exceeded any of her expectations. In addition to her husband Steve, she is survived by a son, Steve E. Bradley, Jr. and his wife Fairlane of Hardin, Missouri; a daughter, Melissa Stevens and her husband Chris of Hardin, Missouri; a sister, Janice Ferrell of Lawson, Missouri; two brothers, Ron Tanner and his wife Becky of Hardin, Missouri, and Mike Tanner and his wife Diane of Osborn, Missouri; five grandchildren, Tiffany Edgar and her husband Justin of Kansas City, Missouri, Dillon Crosby of Hardin, Missouri, Christopher Stevens of Lathrop, Missouri, Angelica Bradley of Millersville, Maryland, Steve E. Bradley, III of Independence, Missouri; and three great-grandchildren, Brailynn, Braxton, and Brilee. In addition to her parents Lawrence and Eunice, she was preceded in death by two brothers, Lawrence Tanner, Jr. and Roger Tanner. A Celebration of Life will be held at the Hardin City Community Hall on Saturday, November 17, 2018, from 1:00 p.m. to 5:00 p.m. A gathering of memories and friendship to honor the life of Patricia. The family humbly requests any photographs of Patricia to be shared to them during their time of grief. 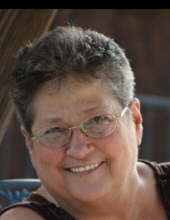 As an expression of sympathy and in memory of Patricia, memorial contributions are suggested to St. Jude Children’s Research Hospital, or, American Diabetes Association. To send flowers or a remembrance gift to the family of Patricia Ann (Tanner) Bradley, please visit our Tribute Store. The family requests that if any photographs of Patricia may be shared for the service. You may call the funeral home to make the arrangements to get these to the family and we will gladly assist you in any way needed. Thank you. "Email Address" would like to share the life celebration of Patricia Ann (Tanner) Bradley. Click on the "link" to go to share a favorite memory or leave a condolence message for the family.